This is not your ordinary dog training class. This is an entire LIFESTYLE for you and your dog. We will teach you how to incorporate dog training into your everyday life. This intensive program is designed to help you take the proper steps towards becoming your dog’s pack leader in just two weeks! For dogs with more unique challenges… Or owners who can’t commit to a full group class! Any goal you have for your dog is possible when you are your dog’s reward. 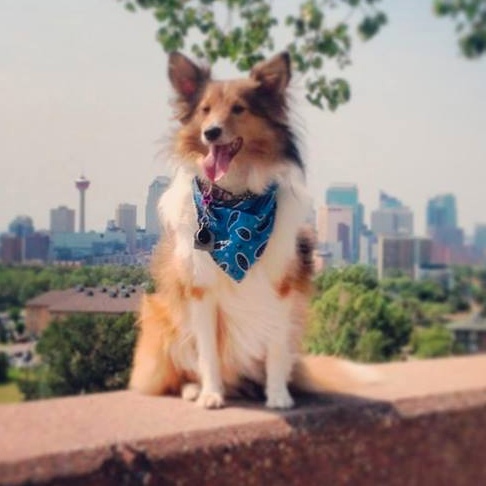 Cultured Canines is an outdoor, treat-free Calgary dog training company that is unlike any other. Classes cover far more than basic commands, this is an entire lifestyle for you and your dog! Training is fun, exciting, and engaging. Instead of using dog treats to bribe your dog, Cultured Canines will teach you how to be your dog’s reward, and to your dog, nothing else could be better. 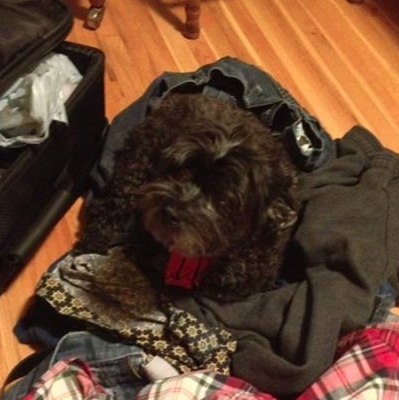 Instead of using tricks and gimmicks to have obedient dogs, we address the underlying issues. Problem behaviors are not ignored, they are dealt with. You will learn how to teach your own dog in a way that is natural to them! 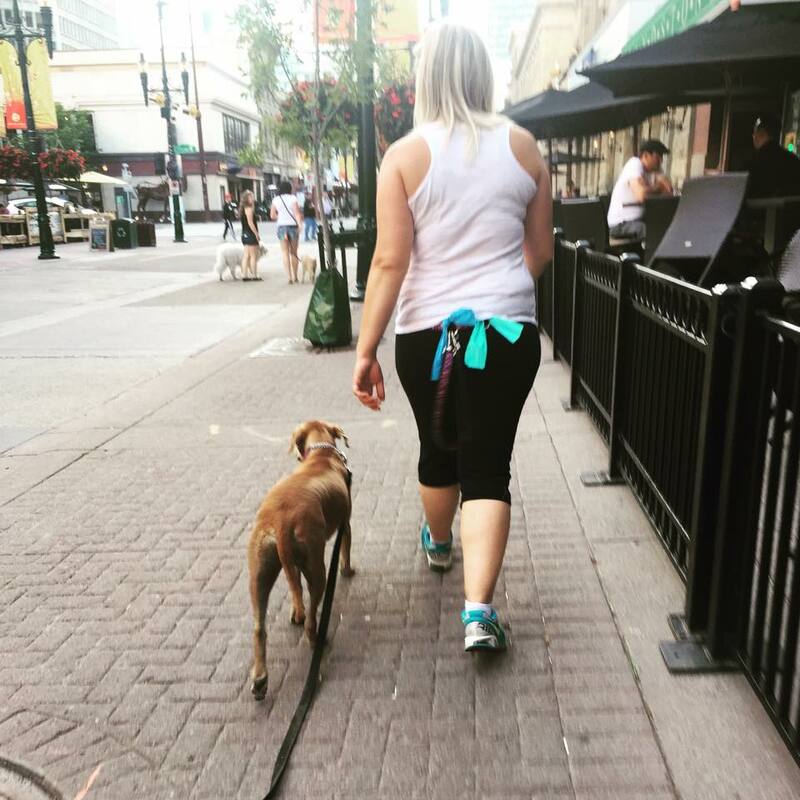 The majority of dog training classes in Calgary are taught indoors, which is an artificial, distraction free environment. Cultured Canines’ training is for REAL life. Dogs need to be able to listen outdoors, so that’s where our classes are taught. Your dog will learn to listen to you regardless of where they are, and what distractions there are. Safety is the number one priority in training. 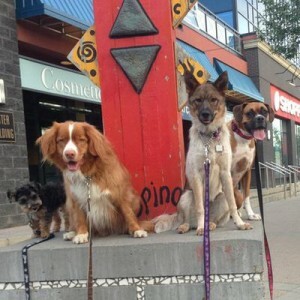 Cultured Canines’ classes takes you and your dog on adventures throughout Calgary. 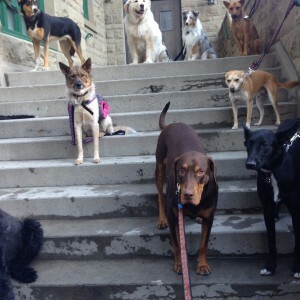 From the C-train to inner city hikes, this is the class your dog WANTS to attend! All photos on our website are of our client’s dogs! This is a lifestyle, not just a class. Dog training isn’t something you set aside time to do, and it isn’t a one time endeavor. Dog training needs to be a lifestyle. Being your dog’s leader and guardian is essential to their life long good behavior. These dog training classes are more than teaching the dogs simple commands. We go above and beyond typical training classes with activities such as urban hikes, river swims, c-train adventures, coyote safety, and so much more. Cultured Canines will show you how to make dog training fun and an easy part of your lifestyle! As a dog owner, it is important to understand how to properly communicate with your dog. A dog’s first language isn’t english. Dog’s communicate first and foremost through body language. 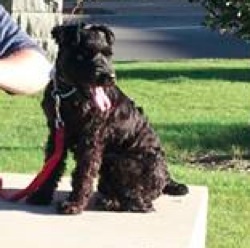 We will teach you how to read and understand your dog’s body language! Communication between owner and dog becomes much easier when dogs are taught in a way that they actually understand. We here at Cultured Canines believe that food and treats are not the best motivators for your dog. We use physical and verbal praise to reward your dog. This makes you your dog’s treat, so your dog will always listen. You don’t have to remember to bring a bag of treats with you! There is no bribery or negotiation when you take dog treats out of the equation. We go beyond teaching your dog simple commands. This isn’t just obedience training, this is behaviour training. Just teaching your dog to sit, stay, and come isn’t enough. This class will mentally and physically challenge your dog. We address the underlying reasons why your dog may be exhibiting undesirable behaviours. We will show you how to create a calm, happy, and well rounded dog! All dogs, regardless of age, breed, behavior, or size, all are welcome to attend both private and group classes. We do not discriminate based on breed or size. Everything from Teacup Yorkies to Irish Wolfhounds and puppies to seniors are welcome to join in on the fun! Every dog is unique, and we tailor lessons to meet every need. Cultured Canines has innovated a way for you to have fun with your dog no matter where you are! No more standing in line waiting your turn. Urban Agility can be done anywhere, anytime. We use what our amazing city has provided for us to get our dogs moving and thinking. 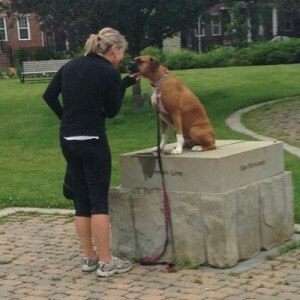 Urban Agility builds confidence in your dog, and it strengthens your already existing bond with your dog. Urban agility is incorporated into every course we teach. We teach all of our classes outdoors as we believe that dogs need to be taught in environments that their owner’s need them to listen in. We don’t walk our dogs indoors, so why would you take a training class indoors? By exposing your dog to new environments, and maintaining your training expectations in each location, your dog will be able to confidently step into new situations without issue. Your dog will learn to listen to you no matter where they are! We don't train your dog, we train YOU! Dogs are easy to train, it’s you that needs all the work! The key to a well behaved dog is a mutual bond based on trust and respect with their owners. We teach our clients how to see things from their dogs perspective, and how to understand canine body signals. You’ll learn how to respond appropriately in situations and help your dog be the best they can be! We don’t believe that when you are done our classes, you are done training your dog. Dogs change and will go through different stages as they age. Problem behaviours can arise for many reasons and we are here to help you through them. After completing our C.O.O.L. Course, participants get 10 free drop-in lessons, so they can build, maintain and further their dog’s learning. Additional drop-in lessons are only five dollars per class. We make it affordable and easy to continue training your pooch! Thank you to Beth, Malori and the other trainers who take the time and care about each dog and their persons unique problems. It's been an incredible journey, and I've only had her for 3 months!!! So far what Beth and Jake have taught us in 2 classes has improved Charlie's behaviour significantly. We still need her and will be going to private classes and group classes for a long time to come. Charlie loves going to go to class and see his friends and never is bothered. Even just try a drop in to see what you think, she is great! After going to a few other horrible trainers, Beth was such a breath of fresh air. She is outgoing, bubbly and her love of dogs is more than evident. My dog has come leaps and bounds (literally and figuratively) since we started training! I knew there had to be some resolution to the problem of him chasing anything and everything. We enrolled in private lessons and then Beth's first group class. It was a fantastic experience and I wouldn't of changed anything.